The first FDA cleared laser for treatment of Onychomycosis. Stop suffering from thick, discolored toenails. The PinPointe Laser is a safe and effective way to get rid of thick disfigured fungal toenails for good! This in-office procedure takes 30-minutes or less and nails began improving in as little as 1-2 treatments. 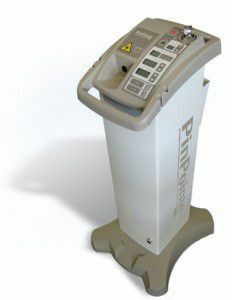 The PinPointe Laser is the only laser designed specifically to target and treat fungal nails. During the treatment, the laser light targets and heats the fungus without causing damage to the surrounding tissues. PinPointe provides temporary improvement in clear nail growth without adverse effects side effects. Fungal infections affect more than 10% of the population. Nail fungus is a chronic condition and is estimated to affect more than 36 million Americans. Nail fungus can greatly impact your quality of life and increase your risk of more serious health problems, especially for those with diabetes and or immune disorders. demonstration and talk on PinPointe FootLaser treatment. 2. Appropriate Treatment Plan: There are at least 4 treatment options for fungal nails including topical treatment, oral medication, nail removal, and laser treatment. We'll help select the best option for you. Have more questions? Call 562-433-0478 and schedule your consultation today. Learn how to make your toenails beautiful again! Read more about PinPointe Laser treatment and browse through the frequently asked questions about toenail fungus.